March 28, 2019 By David A. The 2019 Major League Baseball regular season starts today and odds makers have released their odds for the Most Valuable Player for each league. There is no surprise to see Mike Trout as the +150 favorite to win the AL award and Bryce Harper as the +650 favorite to win the NL award. Trout won the AL MVP in 2014 and 2016, while Harper won the NL MVP once in 2015 while with his former team the Washington Nationals. 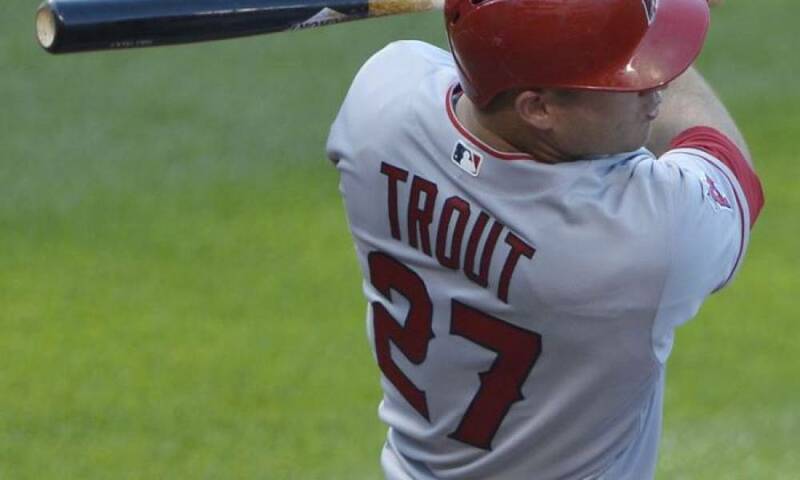 Trout recently signed a new $430 million extension with the Los Angeles Angels, while Harper signed a free agent deal earlier in March worth $330 million with the Philadelphia Phillies. Boston’s Mookie Betts won the AL MVP in 2018 after hitting .346 with 32 homers and 80 RBIs. Betts is +550 to win the award again in 2019. Since Roger Maris won back-to-back titles in 1960 and 1961 just Frank Thomas in 1993-94 and Miguel Cabrera in 2012-13 have won the award in two straight seasons in the AL. New York Yankees power hitter Aaron Judge has the third best odds at +700 to win the AL title. Following Harper on the futures board for NL MVP is Nolan Arenado. The Colorado Rockies third baseman is +850 to win the award. Arenado hit 38 homers and knocked in 110 runs last season to lead the Rockies in both categories. Kris Bryant with the Chicago Cubs is third at +900. Manny Machado, who signed earlier in the offseason with the San Diego Padres, has the fifth best odds to win the NL MVP at +1800. Continue to check back here for the changes in MVP odds as odds makers are always making adjustments due to player’s performances and injuries as the season moves along.